By 2022, the global pharmaceuticals market is expected to reach $1.12 trillion. Some graduates may even go on to open their own independent pharmacies, consulting firms, or counseling services. In response to the high demand for professionals with a business and pharmacy background, schools such as Creighton University, University of Georgia, and Washington State University have launched an innovative degree program that allows students to earn the Doctor of Pharmacy and the Master of Business Administration (PharmD/MBA) in as few as five years. And many of these schools offer online and/or hybrid options for students seeking a more flexible degree. In general, students will complete an internship upon completion of the MBA requirements. In the next phase of the program, students will begin the PharmD curriculum, which may consist of foundational courses in the biomedical, pharmaceutical, social-administrative, and clinical sciences. Students may complete the Introductory Pharmacy Practice Experiences (IPPE) component of the program, along with classroom-based courses. Towards the end of the third year and in the fourth, students will complete the Doctor of Pharmacy Capstone, along with Advanced Pharmacy Practice Experiences (APPE), which are set in a variety of healthcare settings. Students may complete four Case Conference courses during years two and three of the program as well as a scholarly project. The PharmD/MBA program is a collaboration between two schools within the university, so students will have to meet the requirements of both schools. Major requirements for the PharmD include the GMAT/GRE, Medical College Admission Test (MCAT), and/or the Pharmacy College Admissions Test (PCAT). The PCAT is a specialized test that helps identify qualified applicants to pharmacy colleges. It measures general academic ability and the scientific knowledge necessary for the commencement of pharmaceutical education. The PCAT is constructed specifically for colleges of pharmacy. Some pharmacy programs may accept the MCAT or PCAT score as a substitute for the GRE or GMAT. 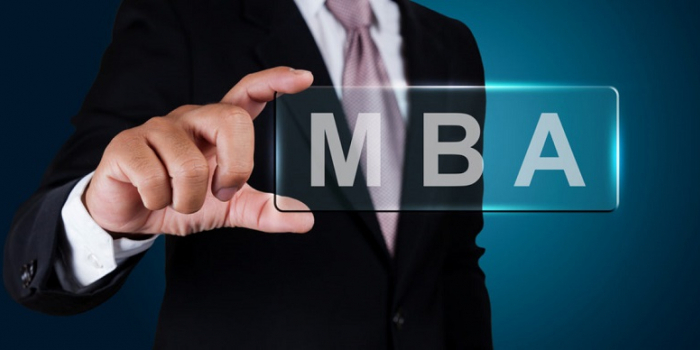 However, many business schools require the GMAT/GRE for admission to the MBA program. This requirement may be waived for exceptional students. Other requirements may include work experience (for the MBA), a bachelor’s degree from an accredited college with a minimum 3.0 GPA, recommendation letters, and personal essays. MBAs are among the highest paid professionals in the world. Add a PharmD and salaries rise to even higher levels. The Bureau of Labor Statistics (BLS) reports that the median salary for pharmacists is an impressive $124,170 up to $142,710-$159,410 or more. In 2016, the U.S. was home to 312,500 pharmacists. The BLS predicts a six percent increase in employment for the 2016-2026 decade, which will result in 17,400 new jobs by 2026. This increase is as fast as average for all occupations. The BLS reports that General and Operations Managers average $100,410 annually up to $156,280 or more. The employment outlook is notable as well with an estimated nine percent increase in employment for the 2016-2026 decade. This is faster than average for all occupations. In 2016, the U.S. was home to more than 2.2 million General and Operations Managers. The nine percent increase in employment will result in 205,200 new jobs by 2026. “Doctor of Pharmacy/Master of Business Administration (PharmD/MBA).” USC School of Pharmacy. University of Southern California, 2018. Web. 13 Sept. 2018. “General and Operations Managers.” Bureau of Labor Statistics (BLS). United States Department of Labor, 13 Apr. 2018. Web. 13 Sept. 2018. “Global pharma market will reach $1.12 trillion in 2022.” Pharmaceuticalcommerce.com. Healthcare Commerce Media Corporation, 2018. Web. 13 Sept. 2018. “Pharmaceutical Industry in the U.S.” Statista.com. Statista: The Statistics Portal, 2018. Web. 13 Sept. 2018. “Pharmacists.” Bureau of Labor Statistics (BLS). United States Department of Labor, 13 Apr. 2018. Web. 13 Sept. 2018. “Pharmacy College Admission Test (PCAT).” pcatweb.info. Pearson Education, Inc., 2015. Web. 13 Sept. 2018. “PharmD MBA.” School of Management and the School of Pharmacy and Pharmaceutical Sciences (SoPPS). University at Buffalo, The State University of New York, 2018. Web. 13 Sept. 2018. Is the Healthcare MBA the Next Big Thing?